It is never too late to carry on with your dream job! In the recent past, many mothers in Australia have decided to reestablish their career paths while still staying at home. However, for them to smoothly transition from stay at home mothers to working women, they need careful planning. 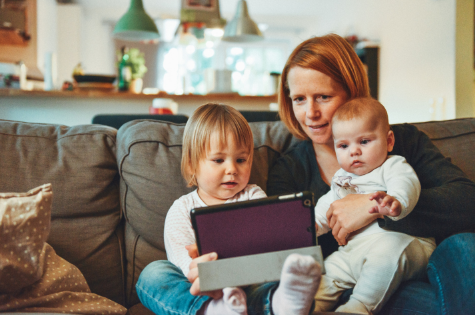 Expert mothers who have been staying at home might realize that reentering the job market after a long absence may be full of challenges that transcend beyond the interviews and cover letters. Many mothers who are at crossroads have, therefore, found themselves dealing with lack of confidence, loss of their professional network and the erosion of their skills. Low confidence has in the past sabotaged even the most determined mums who want to restart their careers. However, because stay at home mums spend many years focusing on nurturing skills that are not valuable at the workplace, that’s not quite surprising. For instance, when they are away so many things may change. Below are some job searches strategies that you may use. A stay at home mum who takes time to consider her values and passions will be much better placed to find another job as compared to the one who doesn’t. Many mums who have stayed at home for long have been concerned about that staring gap in their CV. However, since a CV is a sales document, this should not be a problem. Although you should not lie, you can include what is relevant and forget about the rest. Industries specific practices can quickly change, and technology can become obsolete within a short time. Fortunately, the internet has made it possible to improve your skills very quickly. If you are a motivated expat mum, you may even decide to take a step and upgrade or retrain completely. There are several human resources courses that you can do. The employers will not overlook the kind of effort that you make. In fact, most employers like to see that you are adding effort to your work. You may also take advantage of volunteering opportunities and participate to gain some skill levels. If you are out there looking to upgrade your career, you need to network as much as possible. You will be surprised what other mums are doing for a living. In fact, some of them are even hiring people like you. One of the most abundant sources of networking is the Professional Women’s Association. This is where women can gain access to industry news, gain support from like-minded people and possibly find a mentor who can guide them along the way. Laws and policies concerning accompanying a spouse always vary from one country to another. You, therefore, need to call your embassy to clear up any question that you may be having about this. But even if you are unable to work in that country, you should not despair. You can use this time to lay some groundwork for the job of your dreams. Once you’ve decided to go back to work, you may feel that you need to do it as soon as possible. However, before you start your job search, there are several things that you need to weigh. For instance, you have to ask yourself whether you are looking for a part time, full time or a just a freelance position that you can do once in a while. Since you may feel overwhelmed at the start, you need to assess the type of job schedule that would fit you well and also provide you with the kind of flexibility that you need. In a nutshell, going back to be a career mother after being a stay at home mum can be a very critical time in your life. If you are planning to go back to work, there are several opportunities that you can pursue. However, for you to upgrade your skills, consider taking some human resource courses.